; SO $05 BECOMES $85 ETC. haha, yes, Courier New is the answer. Thanks fantomas. 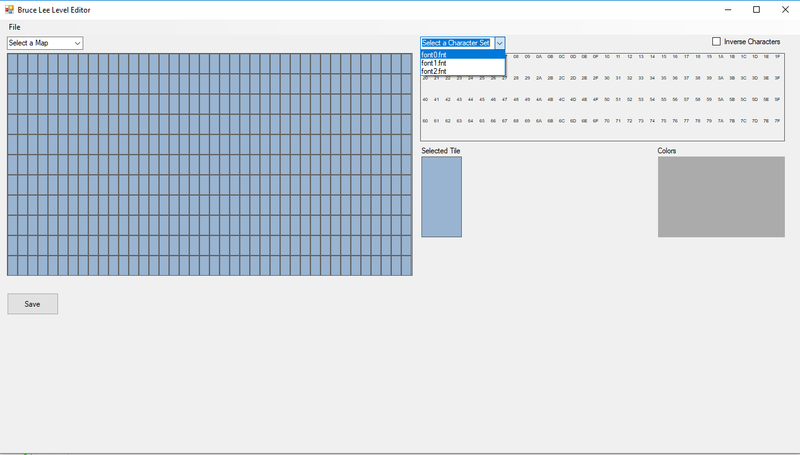 Screen editor is almost done. I’ll be posting it later today/tomorrow. For now you must load character sets and maps one at a time. You must edit the individual map files and because it doesn’t load executables yet. You must put the generated files back in to the assembly file and re-assemble the game. There are bugs I’m sure, they’ll be fixed as found or reported. 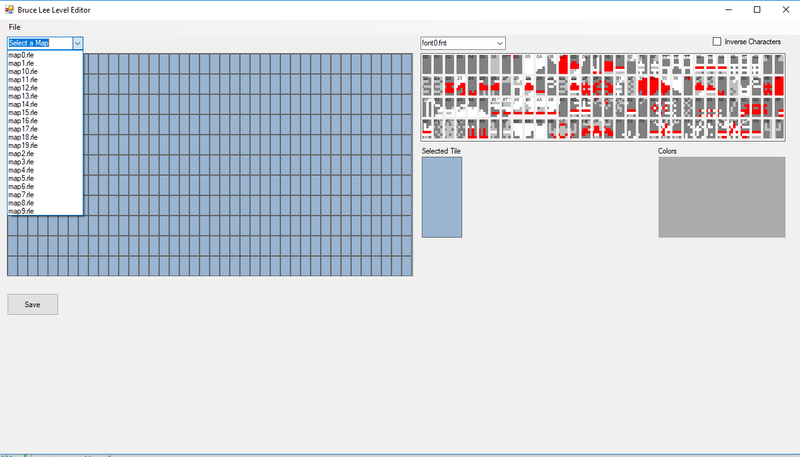 A tile editor with color so we can actually make our own tiles. Right now there is a lot of hard coded stuff but that will get changed once the executable is loading properly. However there is a problem with editing the executable directly and I’ve mentioned it before: If you make or edit a screen whose final RLE is larger than the original the program will not run properly. Also since the source code is not completely relocatable for now, this will also be a problem for editing the individual files. If the RLE is smaller no problem, the file can be padded out with zeros. If the RLE is larger then the original, then it won’t compile. Once code is all relocatable or at least certain portions, that problem will go away. Thanks for your patience and enjoy. Edit: Forgot to mention - Use the files in Fantomas' incbin.zip for loading the fonts and maps. Edited by Ute, Sun Mar 24, 2019 9:32 AM. And here is my own example of a quick, half-assed attempt at creating a level from scratch. 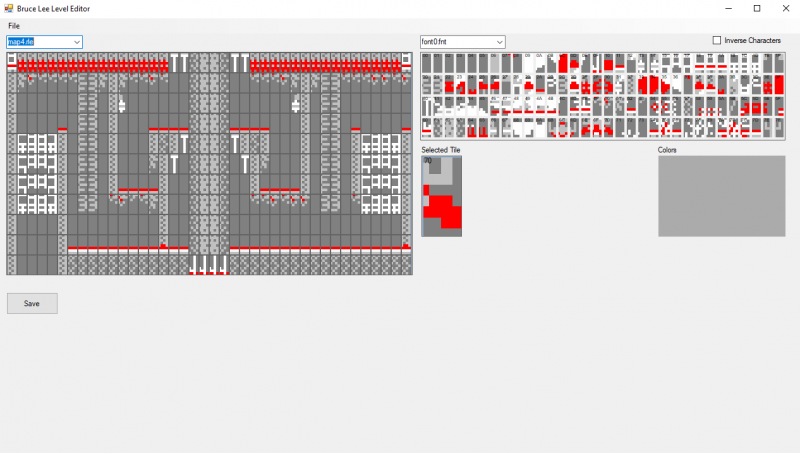 Fantastic, the level editor is shaping up nicely. Thanks for all the work you guys are doing! Technically 5 and 17 are editable they just wont assemble correctly. Working as much as I can on this right now, but you know.......life. So what are the odds I can port the editor? It’s not C++ I hope. It's written in C#, very similar to Java. A direct translation would be challenging. You would be ok memory wise, but displaying everything on screen would be the challenge. ANTIC mode 4 might be they way to go since they maps would only take have the screen and you could utilize the other half for character tiles, color sets, DLI info, etc. 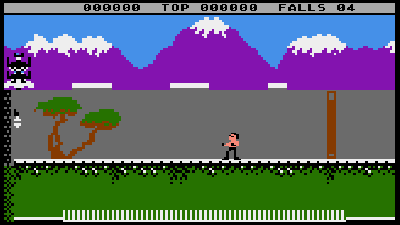 As far as actual implementation, editing it natively would offer the advantage of loading native character sets and screen resolutions. Definitely possible, but a lot would be from scratch. Well I only asked because I'm looking into Envisions, so I figure that's half the job done if I can get it working as a file loaded from DOS. Amazing work, would be amazing to get this ported to the A8! Something WILL come out of this, I'm sure..
A big thanks to Dmx for being a great sport in helping us via his C64 version code and other files and suggestions, just proves the coders CAN work together . And of course a big thanks to Ute, Alfred and folk like Jose etc for the work so far and just idea's being swapped..
Hi, I play with the editor and with the code. 2 fonts on screen, 5 dlis. I would like to echo what Mclaneinc has said, big thanks to everyone who has pitched in. Edited by Ute, Wed Mar 27, 2019 4:00 PM. Yeah, I think we really have to hand it to fantomas, his efforts on this have simply been outstanding. 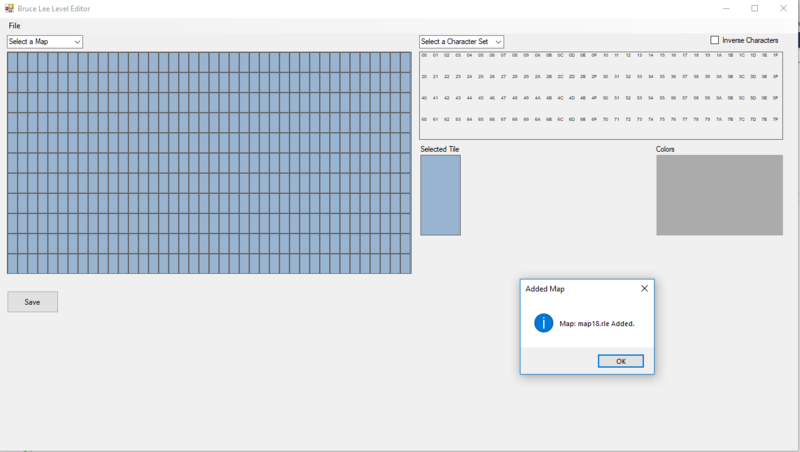 Level Editor Version 0.0.2 is available at Sourceforge. Fixes temporary extra byte hack and RLE re-encoding issues. I wish I had more to offer the project other than good will, my coding skills are pretty rubbish these days and I was just a hobby coder back then but looking at the talent being shown here on this I can say its looking great people. At the end of the day I will be more than happy if this leads to a game and anything else. Anyone thinking of music and FX as yet, too early? The dedication shown by you guys make's me smile and the fact it all hopefully will lead to a game to be enjoyed by others is amazing...Can't thank you all enough..
Do not worry. It does not matter. What matters is Bruce Lee! Some of Dmc's maps are superb, I think. Edited by Ute, Sun Mar 31, 2019 3:24 PM.